We are always looking for new and fun ways to practice learning our names. Repetition is key- so the more variety we have in our name practice, the more fun! Recently, we set out the letters in our name on small paper plates and hopped from each letter to practice spelling our name. 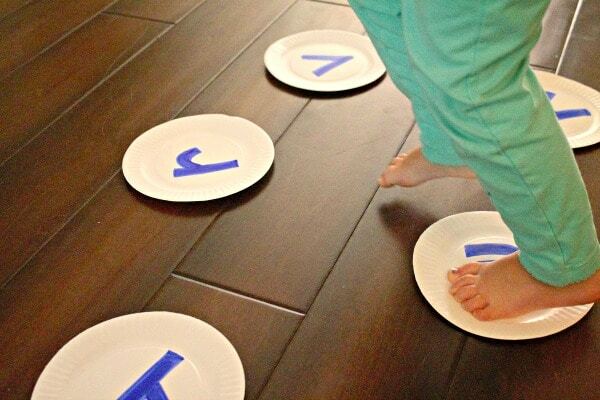 The beauty of this simple gross motor name activity is that it can be done inside or outside and on the fly! 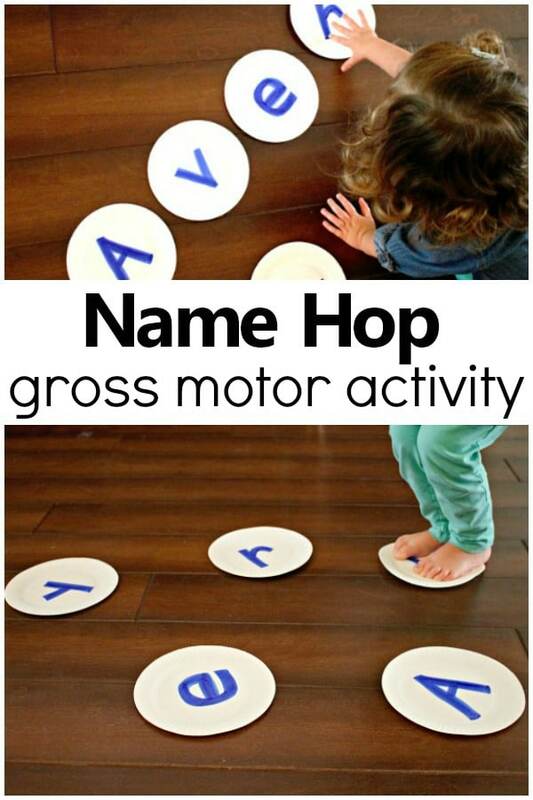 Whether you’re looking for a rainy or wintry day inside activity, or just some extra name practice, this gross motor name activity is sure to get kids moving and learning. 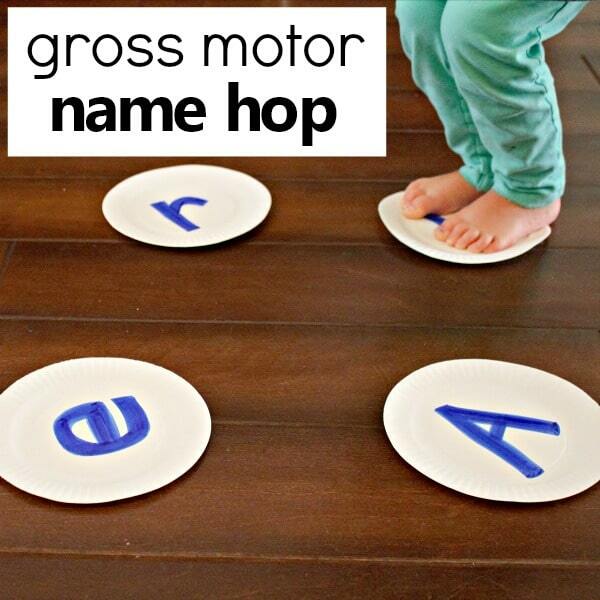 Just grab a few household materials and get ready to name hop! 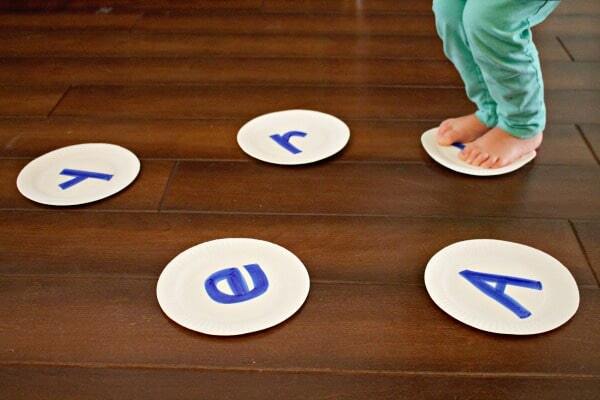 Once you’ve gathered your materials, write each letter of the child’s name on a plate. 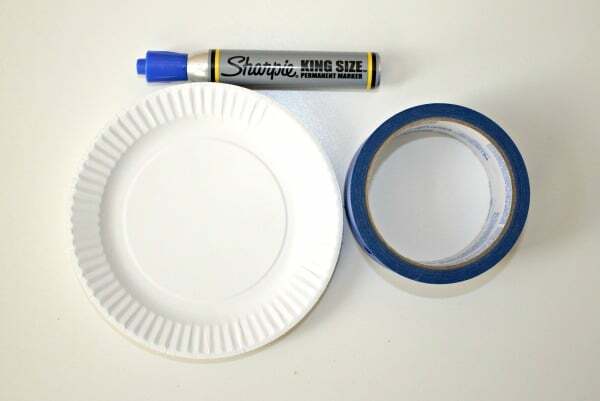 Next, attach a piece of tape to the back side of the plates. This will keep them from sliding when they are hopped on. Before we started hopping, we took the opportunity to practice name spelling and recognition. Reaching for the capital letter first, the name was assembled, reviewed, and ready to hop and practice more! 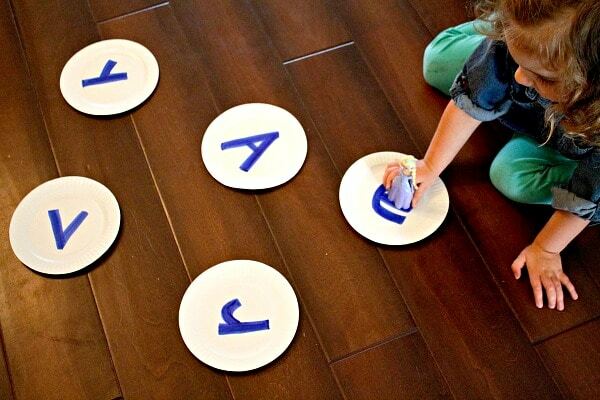 Scatter the paper plates out in a manner that gives kids an opportunity to hop form each sequential letter to the next. For our toddler, we made sure to keep the plates within a reasonable distance for her tiny hops. Initially, each letter was called out and hopped to for a few rounds of name building practice. 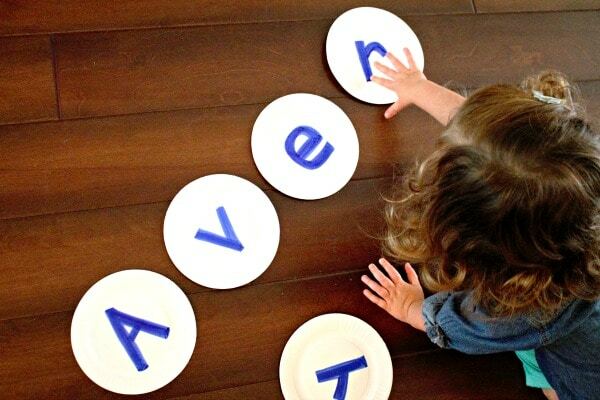 Once the name game became familiar, our little hopper was able to jump from each letter to the next independently. 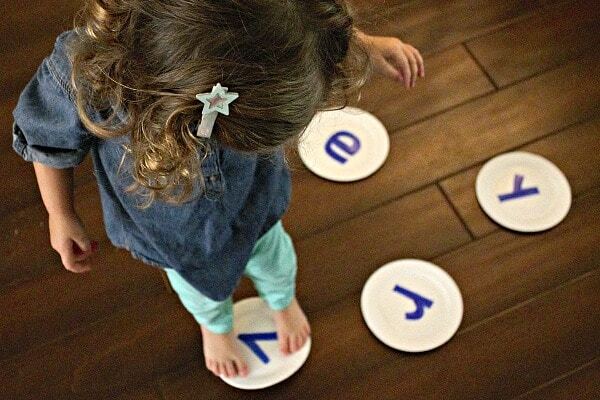 I loved hearing the confidence in her voice as she shouted out each letter as she hopped! 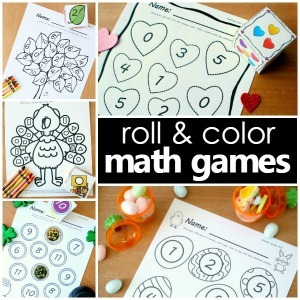 This name activity was a big hit and called for more independent practice and fun. I grabbed a favorite toy character and enacted the toy hopping from letter to letter. As amusing as it was, she eagerly took over and played for a LONG time. A BIG win in this mommy’s book as it bought some educational and independent play time!! For an added challenge, you may choose to occasionally scramble the letters, giving attention to beginning with the capital letter each time. 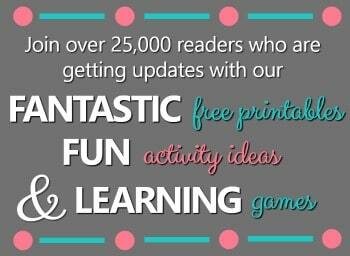 Have fun learning and moving!